While P2P automation technology has been around for almost two decades now, very few standard approaches, processes and/or clear best-in-class performance benchmarks have emerged. The report paints a comprehensive picture of the Current P2P Landscape and covers over a dozen Key Performance Indicators (KPIs) for Indirect Spending, P2P process accuracy, governance & controls, speed and cost efficiency as well as enterprise adoption, use and ratings for P2P technology solutions and a comprehensive picture of the Current P2P Landscape. 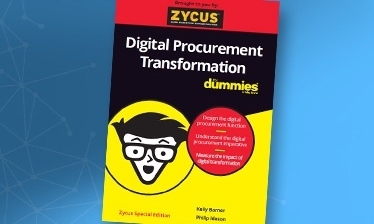 This report was discussed at length in a recent Zycus webinar by Marianna Danchisko, Director Global Procure to Pay, Celgene Corporation, Scott Fitzgerald, Director of Procurement, The MENTOR Network and Richard Waugh, VP Corporate Development, Zycus. Where your procurement organization fits into the global competitive landscape for performance on indirect spend management and procure-to-pay efficiency and effectiveness.